Noveller is the atmospheric solo guitar project of guitarist Sarah Lipstate. With an extensive palette of effects pedals, Lipstate crafts complex and soaring guitar symphonies. 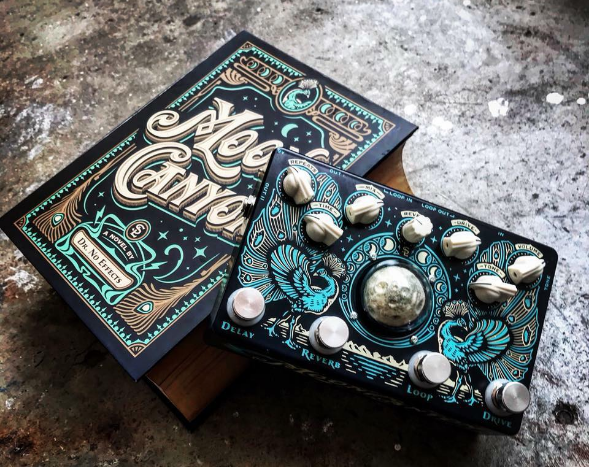 She also has a signature guitar pedal from Dr. No Effects called Moon Canyon. Noveller has toured extensively, including support slots with St. Vincent, Iggy Pop, Mary Timony, and Wire. Pedal Fuzz host Eddie Garcia (1970s Film Stock) spoke with Noveller from her home in L.A., not long after she played Moogfest in Durham, NC. *Music from this episode comes from A Pink Sunset For No One and Fantastic Planet, by Noveller.